On Friday, June 1, 2018 the theater and choir students of Victor Mravlag School No. 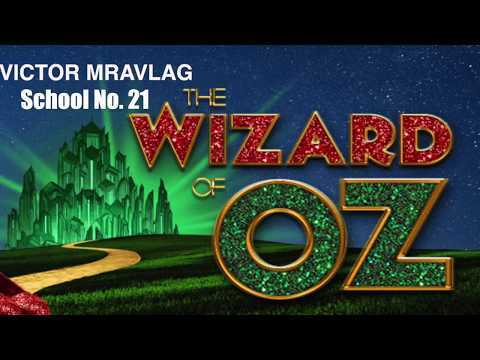 21 put on a beautiful production of, "The Wizard of Oz!" This classic production features a young girl named Dorothy who lives on a farm in Kansas. Eventually, we see a large tornado pick up her house and dog. Soon thereafter, they are both deposited into the beautiful yet strange land of Oz. Here, nothing is at it seems and strangers quickly become friends. This show focuses on the idea of home and how this is not always necessarily a place. Home can represent those you love and care for most. Thank you to everyone who has shown us support along this journey! There truly is no place like home!